Partial Parallels: Batting Average; Home Run; RBI. 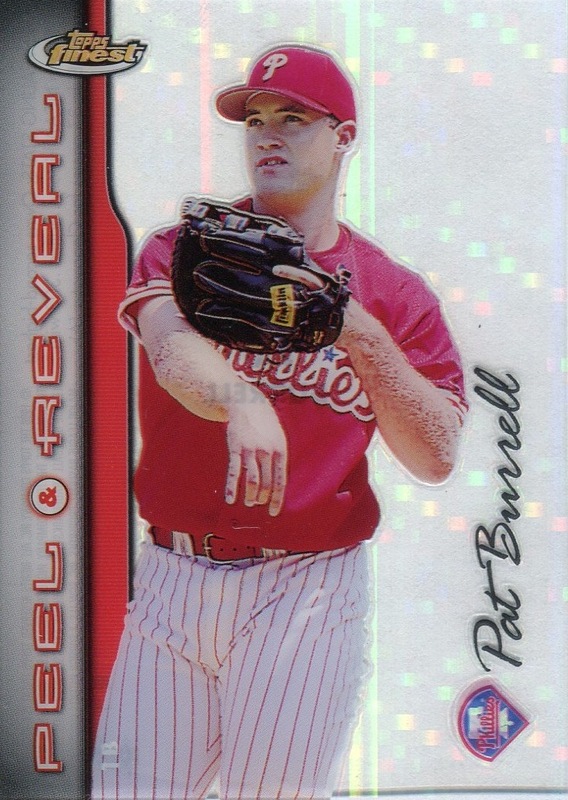 All parallels are serial numbered on the back and print runs vary by player. 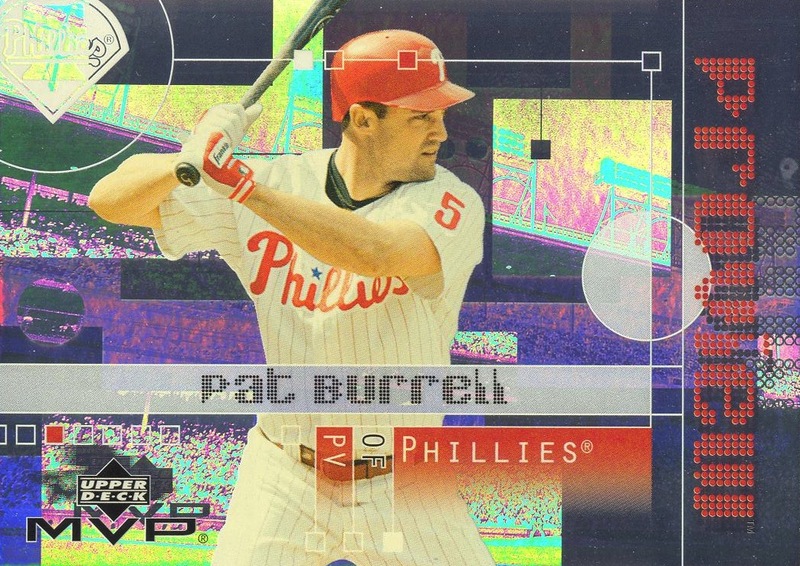 Batting Average parallels feature green foil, Home Run parallels feature red foil, and the RBI parallels feature blue foil. 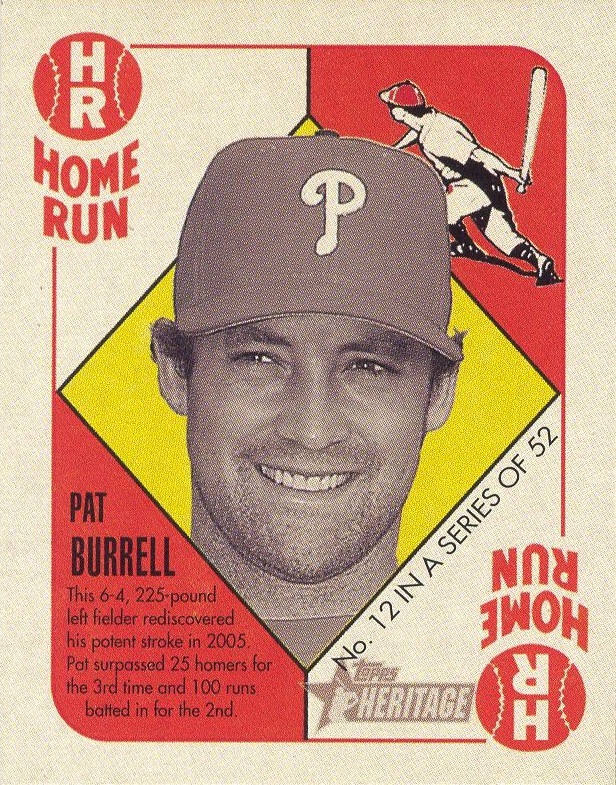 More about parallels in the Additional Information/14,000 Phillies Commentary section. Inserts: None. 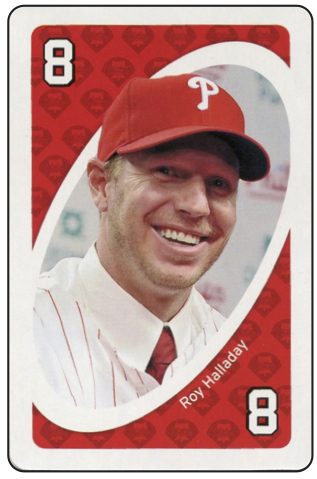 Set has inserts, but no Phillies appear in any of them. 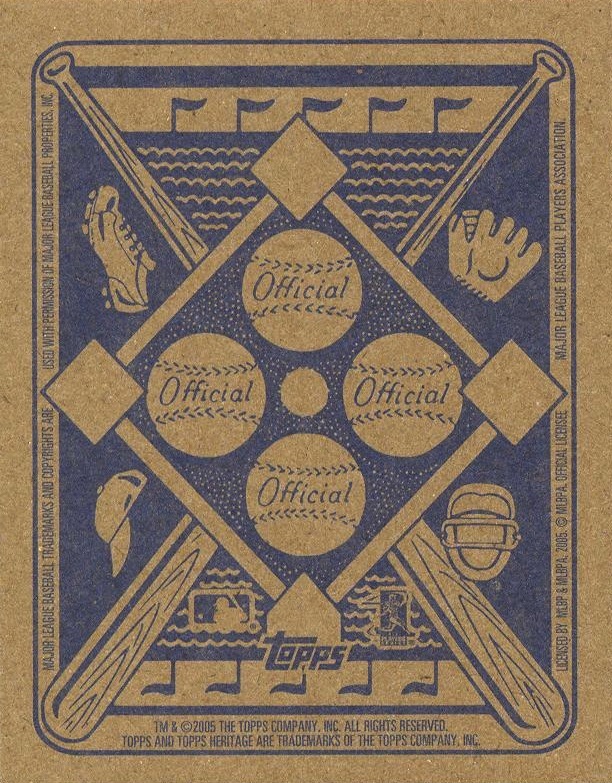 Additional Information/14,000 Phillies Commentary: By the time this set was released, varying the print runs for the parallels had been going on for some time. 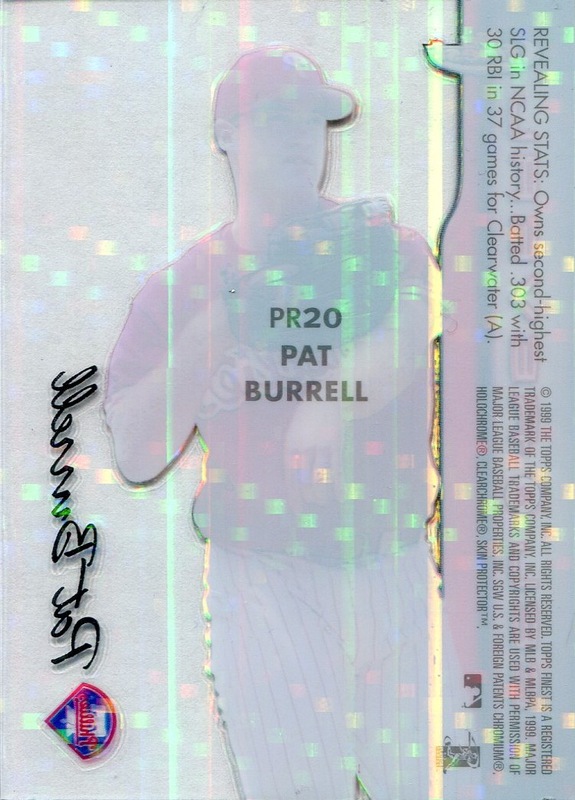 However, at least in the case of this set, the choice of print runs actually made sense given the name of the set: the print run for each of the player’s parallels is based on his correlating Triple Crown stat for 2001. In the checklist below, these three stats/print runs are listed in the traditional slash line fashion in parenthesis following the player’s name. 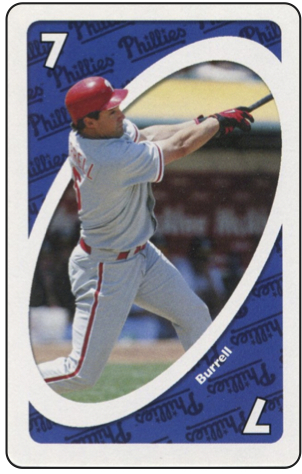 However, these were partial parallels, so not all the players in the set received parallels — nor is there any obvious reason why certain cards did not receive the parallel treatment. 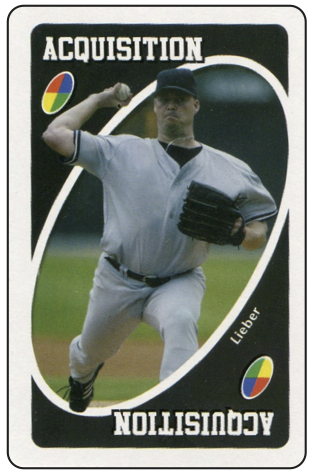 Lieberthal is the only Phillie not issued any parallel cards. 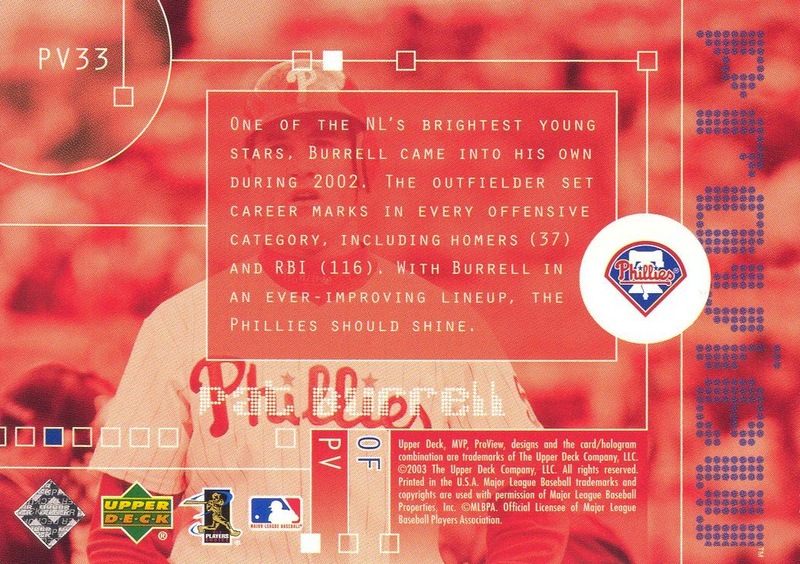 Additional Information/14,000 Phillies Commentary: Inserted in packs of 2005 Bowman Heritage. 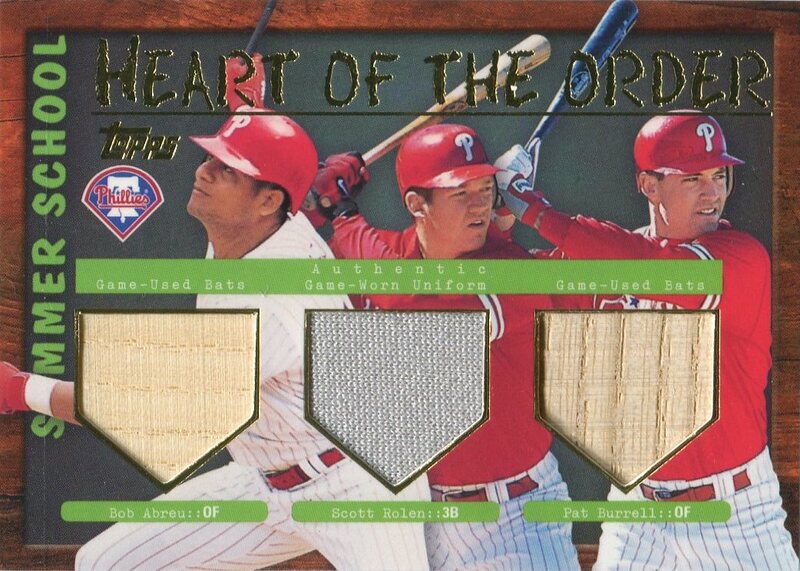 On one hand, I see the connection that inspired Topps’s decision to include this insert with the 2005 Bowman Heritage set, which was based off of the 1951 Bowman design. However, I’m not fond of this type of crossover product; cards recycling Topps designs belong in Topps packs and cards recycling Bowman designs belong in Bowman products — let DC and Marvel handle all the crossover duties. On the other hand, I like the cards a lot because they are actually the same size as the original 1951 Topps cards — unlike previous Topps issues that recycled the design, such as the 2003 Topps Red Backs and 2003 Topps Blue Backs inserts. 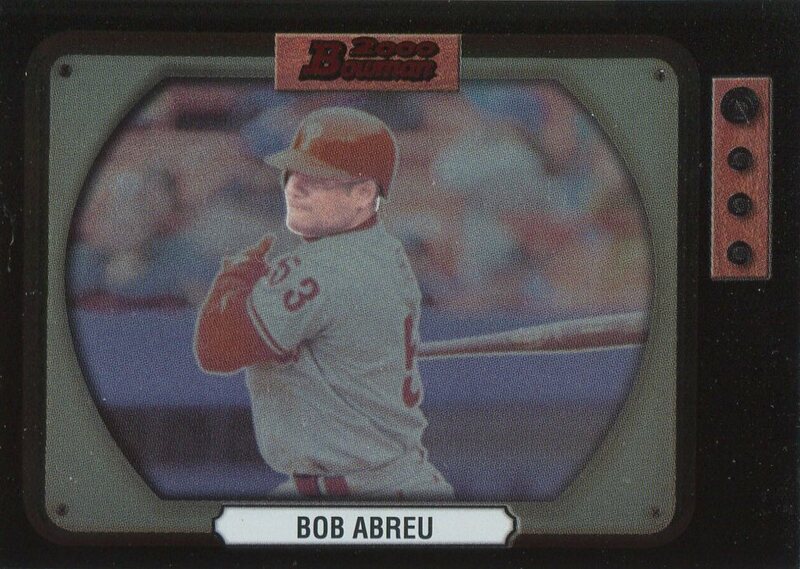 If Topps had used a thicker, white cardboard stock and properly rounded the corners, the cards would have been perfect. Parallel: Gold, serial #ed to 25. 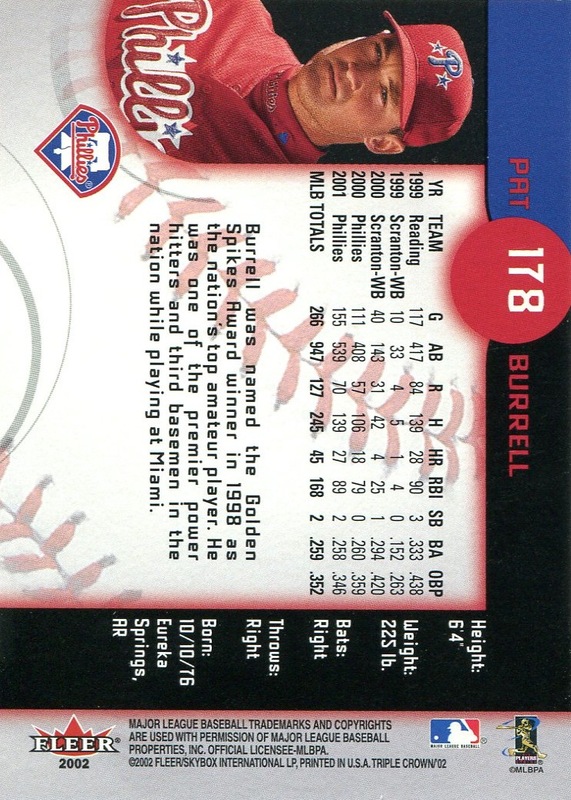 Additional Information: Seeded in packs of 2005 Upper Deck Trilo3y. All cards bear jersey swatches. 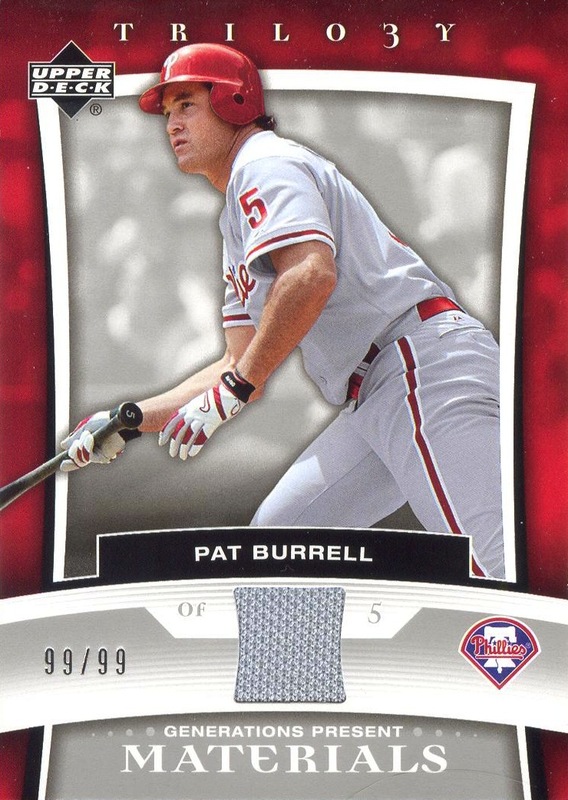 Base cards are serial #ed to 99, and all base cards and parallels bear the serial number on the front of the card. 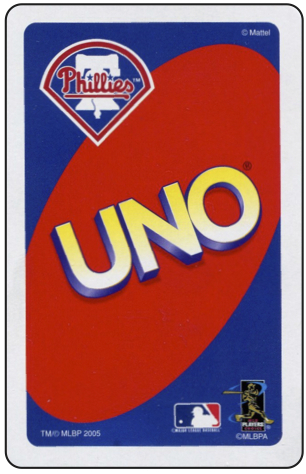 Even though Upper Deck clearly replaces the “g” in Trilogy with a “3,” both Beckett and SCD spell the name all of Trilo3y sets with the “g” instead. 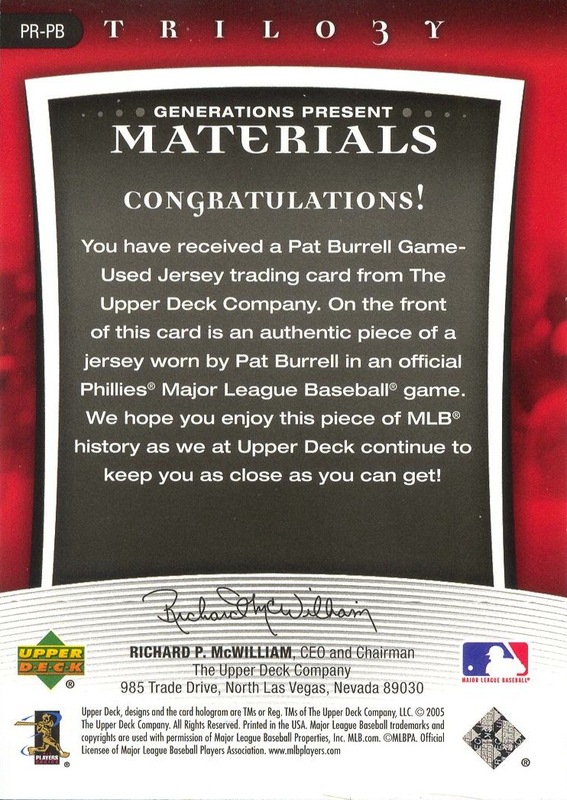 Additional Information: According to Beckett, cards were inserted in boxes of 2003 Upper Deck MVP as a two-card box topper pack. 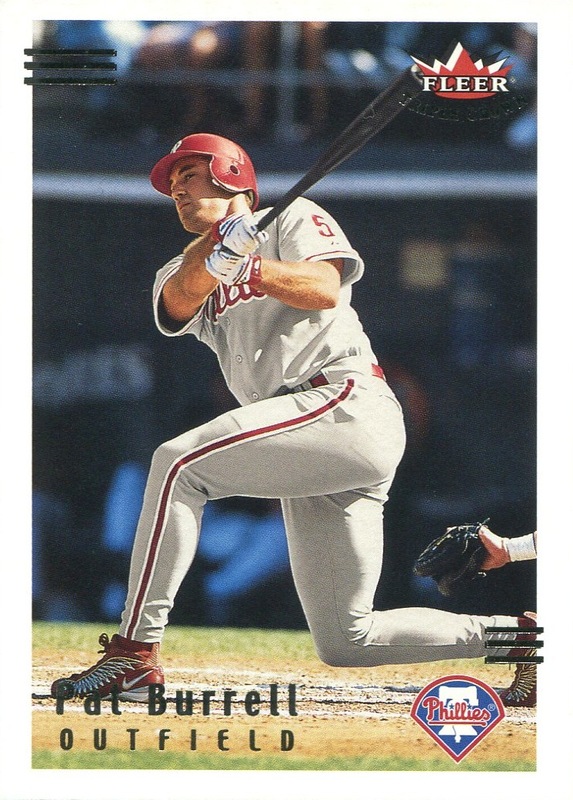 Both Beckett and SCD refer to the set as “2003 Upper Deck MVP Pro View.” Beckett’s checklist incorrectly lists Thome as an Indian, but he is depicted as a Phillie on the card and is appropriately designated as one on the card.